Homeowner Census Form (2019) (PDF) Annual census forms are mailed in January for updated homeowner information. Maintenance Request Telephone– If you have a maintenance issue, please call EPM at 732-821-3224.E-mail – Forward a brief e-mail to ramona.schilling@epmwebsite.com describing your problem or request. Please be sure to include the association name, your name, address, day and evening telephone numbers. 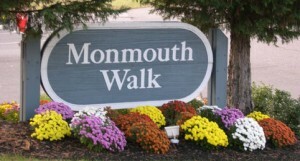 Correspondence– If you wish to put your request in writing, please send all requests to Executive Property Management located at 4-08 Towne Center Drive, North Brunswick, New Jersey 08902. Emergency – If this is an emergency issue after business hours (8:30 am to 4:30 pm) or holidays please call 908-806-3823. Clubhouse Rental (October to April) (PDF) The Clubhouse Rental Agreement should not be mailed to EPM. Must contact EPM/Ramona Schilling for instructions. Landscaping (PDF) A guide to what you can and can’t plant. Do not Prune Weed in front of my unit request form. Dryer Vent Information (PDF) Dryer Vent Inspection need to be done every two (2) years.